Otis Ogden, Sr., 92, of Roanoke, Va., went home to be with his Heavenly Father, Saturday, September 15, 2018. Otis is preceded in death by his first wife of 52 years of marriage, Martha Jane Journiette Ogden; his daughter, Cynthia M.(Candy) Ogden; his grandparents, Willie and Bessie Ogden; his second wife, Geneva Bennett Ogden; his mother, Evelyn Balium; two sisters; one brother; son-in-law, John W. Wade, Jr.; and daughter-in-law, Shirley A. Terry. Otis was a faithful and active member of St. Gerard Catholic Church, where he served as Lector, Eucharistic Minister, charter member of Knights of Columbus Fr. Maurice McDonald Council 13046 and other ministries. Otis served as a member of our Lady of the Valley Board of Directors. Otis was educated in the public schools of Roanoke County, Va. In 1966, Otis received his LPN License from Burrell Memorial Hospital School of Nursing. In 1974, Otis received his Associate in Applied Science Degree for Mental Health Technology from Virginia Wester Comm. College. At the age of 75, Otis received a certificate of completion from Virginia Wester Comm. College in computer technology, Otis was very active with the Roanoke City Schools and various other organizations within Roanoke; a member of NAACP; member and previous president of Hurt Park Neighborhood Alliance. In 1969, Otis and his wife Martha worked the campaign to elect William B. Robertson and Caldwell Butler to the VA House of Delegate and worked to send Linwood Holton to Richmond, Va. as Governor. Otis and Martha were appointed to the Governor’s Minority Economic Development Advisory Committee. Otis was employed at the VA Medical Center immediately after his honorable discharge from the United States Army in which he served during World War II. Otis retired from the VA in 1985 after 42 years of government service. 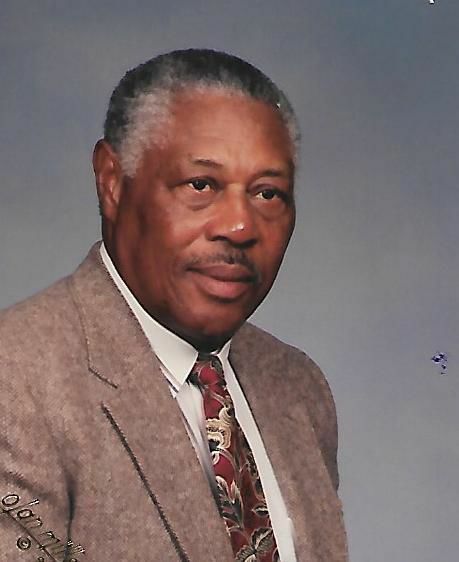 Otis loved deep sea and fresh water fishing and was an avid bowler where he was a team member on several leagues. Otis enjoyed his flower gardens, his vegetable gardens and pruning his fruit trees. Otis loved to travel and meet different people, reading his Bible and researching the Black genealogy on which he has given several presentations. He loved watching baseball and westerns. Otis is survived by his four sons, Ikey (Barbara) Ogden, Surprise, Ariz., Otis (Evelyn) Ogden, Jr., Savannah, Ga., Robert Ogden and Michael (Regina) Ogden, Roanoke, Va.; four daughters, Loretta Ogden, Richmond, Va., Martha Ann Wade, Salem, Va., Karen Ogden, Burlington, N.C. and Angela Ogden-Miller (Emanuel) Miller, Vinton, Va.; two sister-in-laws, Jean Journiette and Ruth Journietta; 11 grandchildren; 12 great-grandchildren; and four great-great-grandchildren.